Injuries are the number one cause of morbidity and mortality among children in the United States. 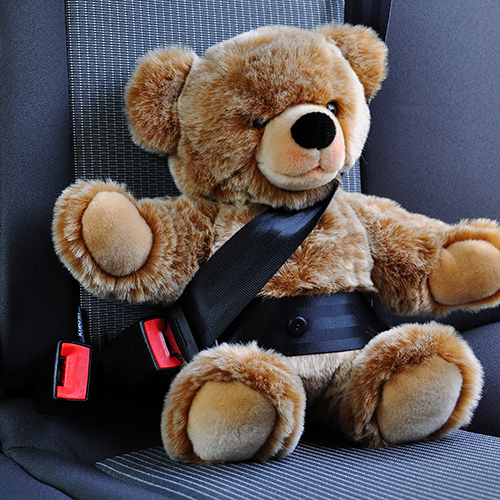 In children less than one year of age, these injuries are most commonly caused by motor vehicle collisions, drowning, physical abuse, and inappropriate sleep positioning and environments. An important part of every well-child visit is to educate families about these risks so that they can practice safer behaviors to prevent these injuries. Unfortunately, there is little time during an office visit and providers often aren’t sure of the best ways to have these conversations. As a result, the Ohio Chapter, American Academy of Pediatrics has developed two tools to assist pediatric providers in screening families for their injury risks and provide specific talking points to improve discussions. These tools have enabled physicians to be more efficient and they have made injury prevention discussions easier with families. By consistently incorporating these tools into practice, more than 50% of families made at least one change in their behavior, in turn helping their children to be safer. • 25 ABP Part IV Maintenance of Certification  (MOC) credits. Free MOC Part IV on Injury prevention projects through the Ohio AAP Chapter is AVAILABLE HERE. Even if you were not able to attend the in person MOC conference on January 21, 2017, you can still participate in the Part IV and Part II (info below). An overview of the injuries addressed in this program, the development of the Injury Prevention Learning Collaborative, and how you can become involved is available in a 30 minute video from Medical Director Dr. Mike Gittelman. VIEW VIDEO. Ohio AAP Chapter’s Part IV MOC project, which includes completing the Part II MOC self-assessment (if you already completed the self-assessment, you are able to use that to meet the requirement). 25 points of Part IV MOC credit are available for completion of the project. CLICK HERE to view the one pager from the Ohio AAP Chapter. The Part II MOC can be taken separately from the Part IV program; if looking for just the Part II MOC, CLICK HERE. This offers 10 points Part II MOC credit; there is a $15 cost for the 1 hour of CME available. Start by looking at the ONE PAGER for more information. BECOME A MEMBER OF AAP-CA3!